Trial Mountain. 52,000 credits. 4300 experience. Repeat. 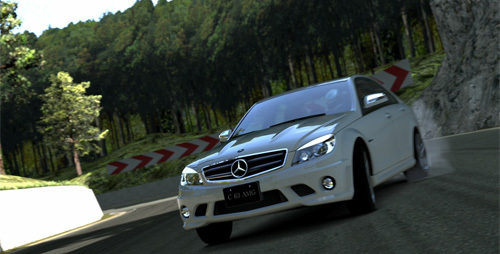 That combination marked my last couple of days with Gran Turismo 5, as I tried desperately to get up to level 20 in order to open up the final batch of races, the Extreme Series. After toiling for quite some time to get to the desired level, the new set of races became available and I happily jumped in. Only to find that the race I really wanted to get to (which unlocks the Minolta Toyota Race Car, which would in turn allow me to complete several additional races) required me to climb yet another level. Needless to say, a great big “FFFFUUUU” was let out at this realization. Situations like this are nothing new to me as a gamer. We’ve all spent time trying to get over the level hump. Or perhaps we’ve invested hours to get that one skill/perk we’ve had our eyes on since the beginning of the game. Regardless of the situation, it’s certainly familiar, and one that has inspired me to do bizarre things in the quest to level/skill up. This mostly happens on RPG’s, but I’ve done it on a few shooters as well, through the use of quirks or glitches (Halo: Reach’s target glitch, anyone?). So what about you guys? What recent games have caused you to grind for that next level or skill? Do you have any strategies or tendencies that help you achieve your goals? Hahahahahahaha Eddy if you think trying to get to level 20 is hard, try get to where I am at level 29. I’ve been playing this game nearly everyday since I got it back in late Novemeber. I think I’ve repeated each series and championship about 3 times each? Plus I’ve done all the licenses to at least silver, and same with the special challenges. I don’t know if level 40 is physically possible. Also, the greatest thing about this game by far, is the ability to make any screenshot you want of any car doing anything. Like that Merc drifting, I could make the same picture on any track, with some ridiculously ugly car in hot pink, at any angle, doing anything. What other game gives you this ability? I’m not much of an RPG guy, but I know I’ve written down locations in Fallout 3 / NV that had locks/safes requiring a pick level of X, and I’ve gone off and picked as many locks as possible, and once it was high enough, looked at my sheet and revisited those places! I gave up on GT5 because of this system. And the UI. On a more positive note, I enjoyed grinding on COD4 & BFBC2. But they don’t make me regret loading them up knowing it will take 15 minutes to get into the actual game. @ Anthony: Might you say, uphill…both ways? Next Next post: GamerSushi Asks: Favorite Game Soundtrack?